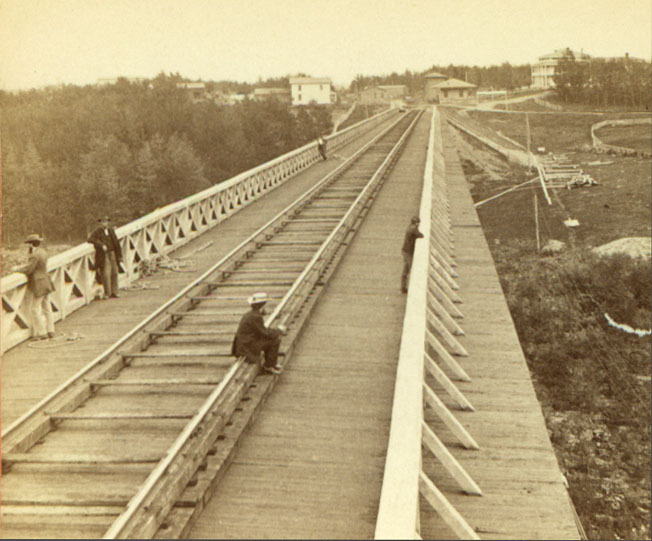 "36.-Portage Bridge, top of, looking toward Station." 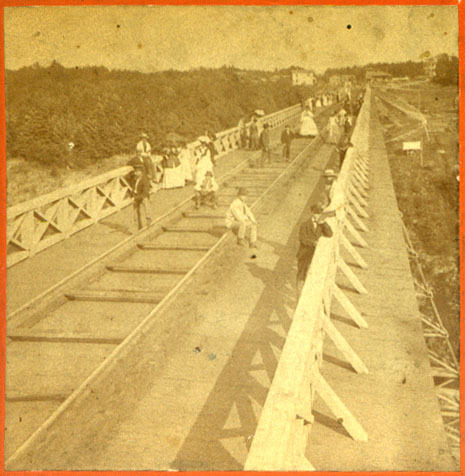 Tourists, probably from a passenger train, enjoy the view from the top of the Portage Wooden High Bridge. In the distance in the Portage Station and to the right, you can see the Cascade House. Another stereoview from the same period is shown below. "6369- Looking Across top of Portage R.R. Bridge,"
"Genesee River and Wyoming Valley"